Barcode Scanning Best Way Forward Brick vs Smartphone | MIDCOM Data Technologies, Inc.
Barcode Scanning And The Best Way Forward: Brick or Smartphone? There are various brands of bar code scanners and smartphones available today that have been designed for both rough handling, as well as the ability to work in the most extreme of environments. However, sometimes it so happens that an instrument made for one purpose only can also be used for other purposes as well. While this is a ‘stop gap’ measure at best, it can nevertheless prove to be reasonably useful as well. 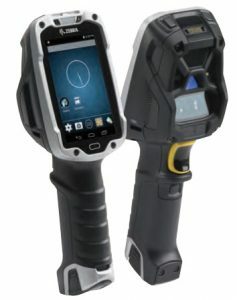 Much the same can also be said when one is comparing a barcode scanner with a smartphone, especially a highly ruggedized enterprise grade device. When it is only a starter business unit with very few items being processed daily, then just about any consumer grade smartphone may well seem like an otherwise viable option. After all, a simple app can transfer them into an arch typical bar code device. And not only that, just about everyone has one these days. Are simple smartphones fit for the purpose at hand? But here the key question is that are they truly ‘fit for the purpose’, at hand or do they just ‘talk the talk’ and cannot walk the walk at all? Especially when it comes to going the full distance, as such. In the case of an ordinary smart phone the obvious answer is a resounding no. And this holds particularly true for simple hand-held smartphones commonly available in the market. Such devices cannot handle the rigors of a full workload, regardless of how ‘state of the art’ they may be. This is the part where the tailor-made device comes into its own. 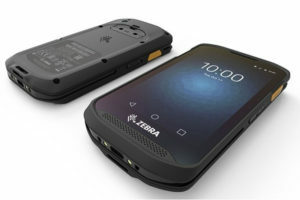 We have before us the example of Zebra’s TC8000 touch mobile computer. It has a breakthrough ergonomic design and comes bundled with an extensive list of various productivity enhancing innovations. Since it is both rugged and reliable, it can ensure complete peace of mind, even in the busiest of warehouses and supermarkets. The data that the employees working in the warehouse routinely capture and transmit to aninventory tracking system or even a spreadsheet, needs to be kept well secure. If the staff members are using their own devices, then they will have to leave the devices at work, so that the sensitive data can be deleted, before the phones are handed back to their owners. This is, of course a highly unreasonable request, is especially in light of the fact that the company has a BYOD, or ‘bring your own device’ policy. 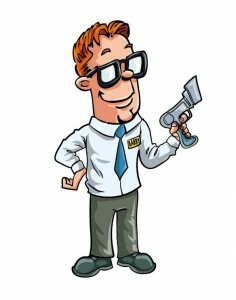 The core purpose of a rugged barcode scanner is to scan barcodes. No more no less. A smartphone on the other hand is responsible for multiple functions. This makes the former a whole lot more reliable and faster than just about any conventional smartphone available today. It does not have to multi-task at all, therefore all of its processing power id dedicated only towards deciphering barcodes alone. Which means that a whole lot more work gets done faster, then if a relatively more straight forward smartphone were to have been used. For more information on brick or smartphone barcode scanners or for all your labeling and printing needs, call us as (800) 643-2664 and immediately talk to one of our friendly representatives; or chat us up on Facebook, Twitter, Google+ and LinkedIn! 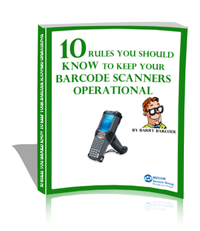 Keep your mobile handheld barcode scanning computer equipment running! 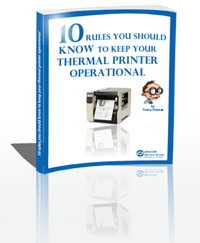 Download our FREE maintenance ebooks below.